Who qualifies for student membership in NCAPA? 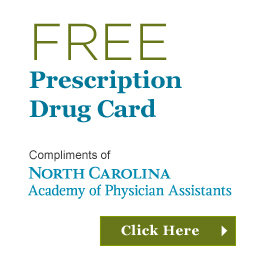 A Student Member is a PA student enrolled in an ARC-PA accredited physician assistant program in North Carolina. Student Members have all the rights and privileges of a Fellow Member, except that Student Members do not have the right to vote (except for voting by Student Directors as part of the NCAPA Board). A one-time payment of $10 covers membership for any PA student enrolled in a program in North Carolina for the entire time the student is in PA school. 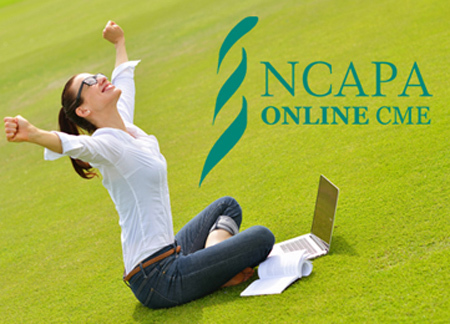 Student membership is in force until December 31 of the year in which the student graduates, after which the new graduate is eligible for Fellow or Associate membership in NCAPA at the discounted rate of $75 for the first year as a licensed PA.
What kind of opportunities does NCAPA offer for students? Leadership Retreat: Each Fall, the NCAPA hosts a one-day event at the Stead Center in Durham for student members in North Carolina. The day includes presentations regarding leadership opportunities, professional development, preparedness for the early years of practicing as a PA, and networking with fellow students and experienced PAs. Student Medical Challenge Bowl: A Jeopardy-style competition with teams selected at random (not school vs. school) is held at the Stead Center each year in April/May. NCAPA’s Challenge Bowl can be used as preparation for the AAPA Student Medical Challenge Bowl, which is held each year at the AAPA annual conference. Student Representatives: Each PA program in NC elects one representative from each incoming class to serve as an NCAPA Student Representative. These representatives serve on the Student Affairs Committee, attend BOD meetings, and provide information to fellow students regarding PAs and NCAPA. The student representatives serve a term of one year. Student Directors: The NCAPA Board of Directors (BOD) has two Student Directors-at-Large. Members of the previous year’s student representatives are eligible to run for these seats. Student Directors are elected no later than November 1 by a plurality of all NCAPA student members. The Student Directors serve a term of one year, which begins on January 1 of the year following the election. Student Affairs Committee: The Student Affairs Committee is a standing committee of the NCAPA with the mission to represent and voice the concerns of the PA student community while supporting efforts in achieving academic success. Student members may serve on this committee or on any of the other committees of the NCAPA. NCAPA Endowment Grants: Educational scholarships are awarded to one student at each PA program in the state. Applicants must be student members of NCAPA and be entering their second year in PA school. The application deadline is in June of each year. Grants are awarded in August. To become a Student Member or for more information, contact Kat Nicholas, NCAPA Director of Membership and Marketing at kat.nicholas@ncapa.org.